Many of our veterans are still struggling after coming back home from their deployment in war-torn countries and subsequently retiring from the service. They are now facing adversity as they transition to civilian life. Some are dealing with severe disabilities from injuries suffered on the battlefield. Others are facing post-traumatic stress disorder (PTSD), depression, and other mental health issues. Some are also having difficulties in finding a new job to support their families. Some have become homeless due to extreme poverty. Although the government is giving support, it is clearly not enough to keep up with our veterans’ needs. This is why Veteran Car Donations exists. We give our veterans, our unsung heroes, the support they truly deserve. If you have an old car, SUV, truck or motorcycle that you no longer need, consider donating it to our Lexington, Kentucky car donations program. With your car donations, you will help rebuild the lives of our poor veterans and their families. To participate in our program, here is what you need to know. We at Veteran Car Donations have devised a fast, easy and convenient process for donating vehicles to our Lexington, Kentucky car donations program. There are just three steps in the process, and it starts when you call us at 877-594-5822 or when you fill out our online donation form. Our friendly donations specialists will ask you about your car’s make and model, your preferred time and date for pickup, and your vehicle’s location. Upon verification of the information you shared with us, we will come to an arrangement on the date, time and place for picking up and towing your vehicle. A professional towing company that we hired can come over to your place as quickly as 24 to 48 hours after you made the call to us to pick up your vehicle. Before we take away your vehicle, we will issue you a donation receipt that will release you from all liabilities on your car. With this receipt, you can now de-register your vehicle, dispose of your license plates properly, and cancel your insurance coverage, thus saving you money. Your car will then be auctioned. Once sold, we will send you by mail your 100 percent tax-deductible sales receipt, indicating your donated vehicle’s sale price. This will serve as the basis of your tax deduction claim when you file your itemized income tax return. We accept almost any type of vehicles for our Lexington, Kentucky car donations. We are happy to accept your donations even if the vehicles you’re away are not in good running condition. From cars, SUVs, trucks, RVs, campers, and motorcycles to boats, snowmobiles, golf carts, and even non-commercial airplanes, we’ll take them. We make every donation count. We only require one thing: The vehicle should be yours, with a title to show your ownership. If you’ve lost your title, we can help you find a replacement title. Give us a call if you want to know more about the vehicles we accept. Lexington is merged with Fayette County and sometimes called as Lexington-Fayette. It is Kentucky’s second largest city and the 60th biggest city in the United States. It is recognized as the Horse Capital of the World. It is one of only two cities in Kentucky that have been selected by the state as first class. The other city is Louisville, the state’s largest city. Lexington is a well-known destination for horse racing enthusiasts. It is a delightful Southern city where there are a lot of great things to do. Here are five things you can do in Lexington. 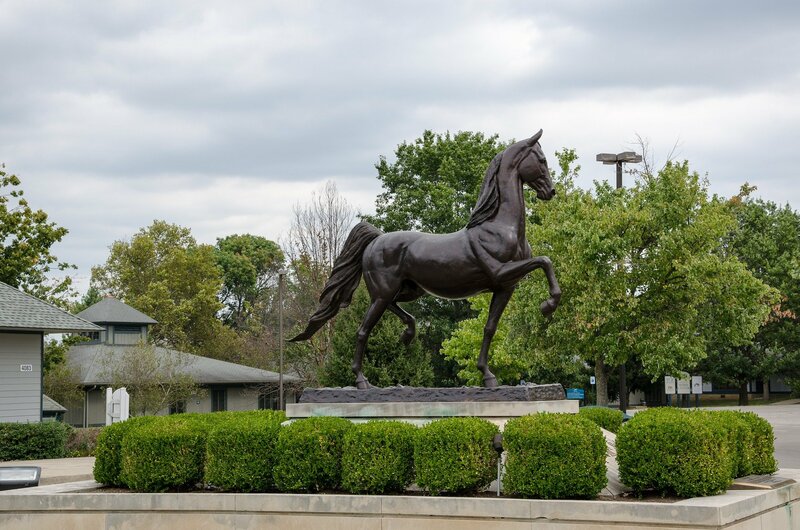 Visit the historic and well-known horseracing arena—Keeneland. It attracts tourists all year long. Horse racing began in Keeneland in 1936 and since then, yearly races have been held. Keeneland is also where jockeys and horses prepare for the Kentucky Derby. Visitors can view the racecourse, go to indoor facilities, and tour the sales complex. Go to the Kentucky Horse Park. It is a famous working horse farm. It gives you the chance to tour the horse stables and its facilities. You can enjoy the Horses of the World show that includes a selection of rare and exotic horses from around the world. It also has a historical museum which is the International Museum of the Horse. The museum has a wide range of collection of genuine horse memorabilia which you can relish. Horse riding, carriage rides, and campgrounds are all available for your enjoyment. Go to the home of Mary Todd Lincoln during her childhood. She is the 16th First Lady of the United States. The house has been preserved and memorialized. It is now open for public viewing and is considered as one of the top destinations in Lexington. The house features a collection of genuine artifacts that includes furniture, decors, portraits and more from both the Todd and Lincoln families. Go to Thoroughbred Heritage Horse Farms Tours. This gives you the opportunity to experience the scenic back roads of Kentucky and take a look at numerous abundant sites of Lexington. Go the Coles 735 Main to experience casual fine dining. It is a historic Lexington establishment. Here, you can enjoy the creative and globally inspired dishes prepared by their amazing chef. There are a whole lot more of things you can do and enjoy in Lexington, Kentucky. Hope you enjoy them! Donate Your Car In Lexington, Kentucky Today! If you have more questions about our Lexington, Kentucky car donations program, feel free to give us a call. You can also visit our frequently asked questions page. Support our retired troops with your car donations. Contact us at 877-594-5822 and donate a vehicle today!